‘We Are Your Friends’ (“You’ll never be alone again, well come on…”). That was their first production; the tracks that followed cemented their place as an era-defining electronic act, and one of the original pioneers of the EDM phenomenon. ‘Waters of Nazareth’ dropped in 2005, and it sounded like it was playing through a stereo that someone had kicked off a building. Fans of techno, rock, pop and metal came to adore Justice for this unique sound palette – a mix of heavily distorted bass synths, disco strings and French touch. Their debut album Cross is heralded as one of the greatest electro house albums ever produced, sporting classics like ‘D.A.N.C.E.’, ‘Phantom Pt. II’ and ‘Genesis’. 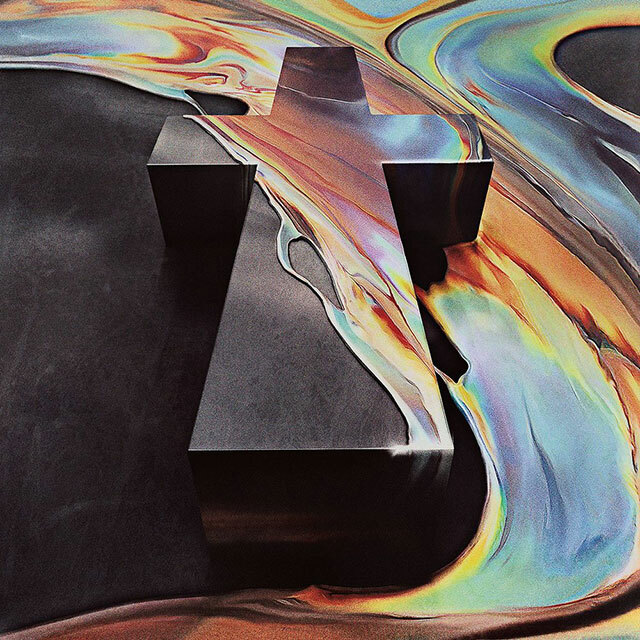 Since dominating arenas with their rock ‘n’ roll brand of electronic dance music in 2008 and again following the release of their divisive sophomore album Audio, Video, Disco in 2011, Justice have now given us their third offering, Woman. The album is less electro and more disco, with less rock to match. Instead, Woman’s appeal comes from its beautiful, sparkling production, its inviting nature, and the depth of its heart. It’s perhaps the only album to come close to Daft Punk’s Discovery, in terms of providing a genre spanning mix of dance tracks that exemplify the richness of the French touch sound while also touting a sweet message about finding love on the dancefloor. Don’t take this as Justice having lost their affinity for big, bewildering sounds, however. Indeed the reason Justice associate their band with the Christian cross is not for any religious reason, but because they want their music to have the same impact as a loud, booming organ filling out a tall French cathedral. Uncoincidentally, the majority of Woman’s tracks imitate grand opuses performed by an orchestra, reaching for the five-to-six-minute mark and getting lost in a maze of furious guitars, organ-like synths and heavenly strings. ‘Randy’, and particularly its mid-song breakdown, is perhaps the most satisfying instance of this. The opening track ‘Safe And Sound’ is arguably the album’s best. A melodious choir propels the album into action, continuously building its catchy, entrancing refrain with a string section, and then a funky electric bass, and then everything all at once. One of the dancier songs, ‘Alakazam !’ adopts a less organic approach, proving that electronic music still has the power to enchant – in a way responding to Daft Punk’s Thomas Bangalter’s assertion that “when you know how a magic trick is done, it’s so depressing.” The anomalous ‘Heavy Metal’ takes this one step further, painting a medieval, Dracula-esque landscape out of an electric guitar-like harpsichord. This gets to the heart of why I love this album: it offers a wealth of visual delights for the synesthete. It’s a cohesive blend of more traditional dance songs like ‘Pleasure’, ‘Fire’ and ‘Love S.O.S.’, with more experimental work such as ‘Chorus’, and the angelic ‘Close Call’. Every song is like a dancefloor hymn that carries with it an abstract love story; each is a striking example of the power of dance music to do more than simply fill a club. This stuff is magic.